Are you ready for 4D knitting? Los Angeles ? 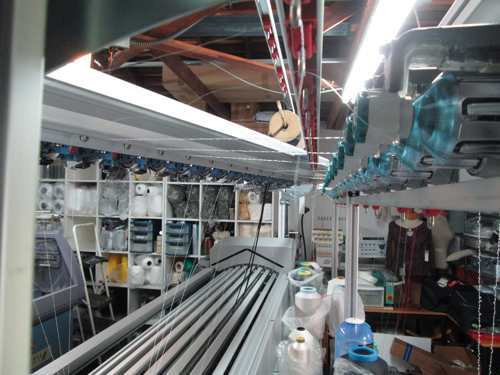 Fabdesigns, Inc., which specialises in engineering knitted fabrics for apparel and footwear, has taken the delivery of one of the first Stoll CMS ADF-3 machines in the US, a move which the company says will enable it to explore new realms of design such as four-dimensional knitting. The lab is fronted by owner and executive engineer Bruce Huffa, originally from Leicester, UK, who was the brains behind the Nike Flynit shoe that was developed on Stoll flat knitting machines.